My lovely friend bought this book for me for Christmas, and I read it in one sitting (not hard, in that it's only about 100 pages long). My first thought when finishing it was 'why haven't I read that sooner?' I really loved it, it was cute and sweet, and short and snappy, and yet full of magic and wonder. The story begins with a pilot who has crashed in the Sahara desert. He meets a little boy, a small Prince, and eventually the Prince tells the pilot how he got there. He left his small planet after falling in love with a single rose that grew there and catching her in a lie. He steps off his planet to explore the universe and finds, along his way, a multitude of adults on their own planets. They are strange, these adults, with their narrow-minded view of everything, they were stuck in their ways, consumed with their occupations. Eventually he arrives on Earth, where he meets several animals, and also the pilot and narrator of the story. Of course there's more than that, but I feel if I keep writing I'll just paraphrase the entire book. It sounds crazy and weird, but it's wonderful and is written beautifully. While it is translated from the original French, it's done so in a fantastic way, and there are some great lines in it. 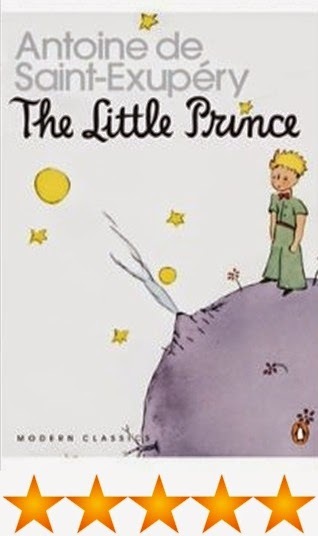 If you're after a quick read, a fun and yet though provoking read, do read The Little Prince. It's beautiful. It's so sweet! I do believe I read somewhere too, that they were turning it into a movie, so read the book before the movie comes out, if you're like me and that's what you like to do. BB: Hi Jennie! For any of our readers who aren't already subscribed to The Book Journal or your personal blog Sailboat could you tell us a little bit more about the girl behind the blogs? Hi, thank you so much for having me! I’m Jennie and I live in the middle of the countryside in Derbyshire. I first started blogging over at Sailboat five years ago, I’ve just recently started writing The Book Journal and I love every second. I’m an introvert, a total dreamer and I have a real weakness for coffee shop atmospheres. I was sorted into Gryffindor on Pottermore, which tells me I should discover some of my inner bravery and spend more time getting stuck into ideas rather than spending too long thinking about them! I love film photography, down-tempo tunes, odd books and vinyl. BB: Where does your passion for reading come from and what made you decide you wanted to get into reviewing? I read a lot as a child, but the majority of my teenage years are now referred to as ‘the lost reading years’ and I could probably count the number of books I read during that time on two hands. I’m not sure why I stopped, I guess I was just distracted by MySpace and MSN! Early on in my English degree I took a lot of language modules but a couple of years ago I signed up for a Children’s Literature module on a bit of a whim. My tutor was an absolute delight. It’s not something to be said lightly so I say this very truthfully; she changed my life. Her enthusiasm for literature was contagious and she reignited that love for reading I had when I was a child. I don’t think it ever really left, I had just forgotten about it for much too long. I think the gift of reading is so wonderful and I really wanted to be a part of the book community online. It’s so welcoming and my list of books I’d love to read has been steadily getting longer ever since I discovered booktube and book blogs. If somewhere along the line I can inspire someone to pick up a book, that would just be incredible. 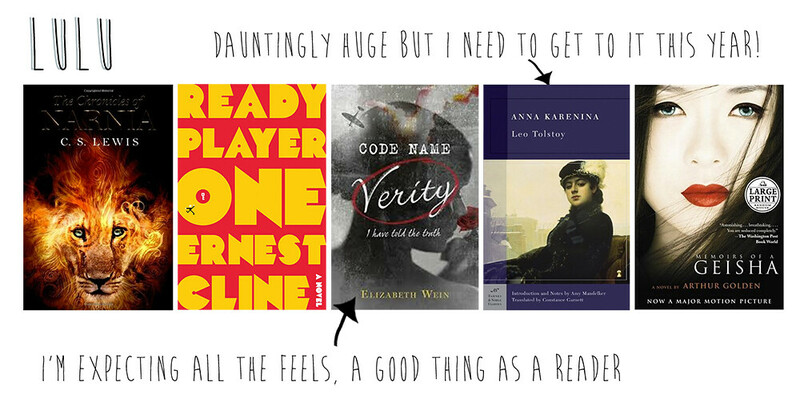 BB: We're always looking for new titles to pick up, which five books are at the top of your TBR list right now? Ooh great question! The Bone Clocks by David Mitchell is patiently waiting on my bookshelf for when I have some time to be able to dedicate to it. I’m very much looking forward to that. The Incarnations by Susan Barker is one I’d like to get to very soon as well. I don’t know a lot about it other than a Beijing Taxi Driver is being pursued by his twin soul over a thousand years of Chinese history. Intriguing, right?! 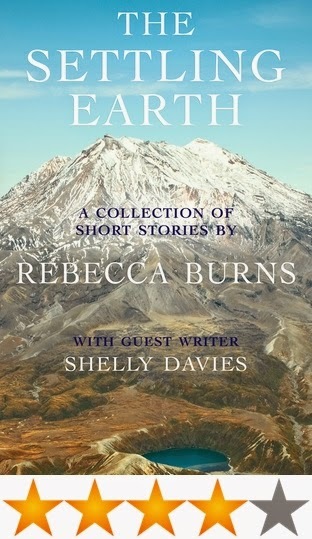 I’m just beginning to explore short story collections because they don’t feel like as much of a commitment as a full novel, and they’re great to pick up during study breaks. The Boat by Nam Le is a collection at the top of my list. The Picture of Dorian Gray is a classic that I have to read at some point this year. It’s one of those books I can’t believe I haven’t read yet, I blame those lost reading years entirely! After just finishing Purple Hibiscus by Chimamanda Ngozi Adiche I’m really looking forward to Half of a Yellow Sun. Adiche has such an unpretentious writing style, with a real gift for writing believable speech so I found her first novel to be a really emotive experience. BB: Just for fun - if you could invite 5 fictional characters to a dinner party who would you choose and why? Hermione Granger because I would love to be friends with her and I have a feeling she’d have some kind of spell that would help with the washing up, which would be a bonus. Willy Wonka might bring an incredible dessert, hopefully one that won’t turn us all into blueberries. Patrick from The Perks of Being a Wallflower has the best sense of humour and would have us all giggling away instantly. Poirot is such an intriguing man and if he could teach me to be more observant that would be brilliant, as long as there are no mysterious murders around the dinner table of course! And Gatsby because he’s so charismatic and maybe I could snag an invite to one of his incredible parties! I tried really hard to come up with an answer that’s not the magical world of Harry Potter, but the desire to attend Hogwarts (even though I'm much too old now!) is just too strong! 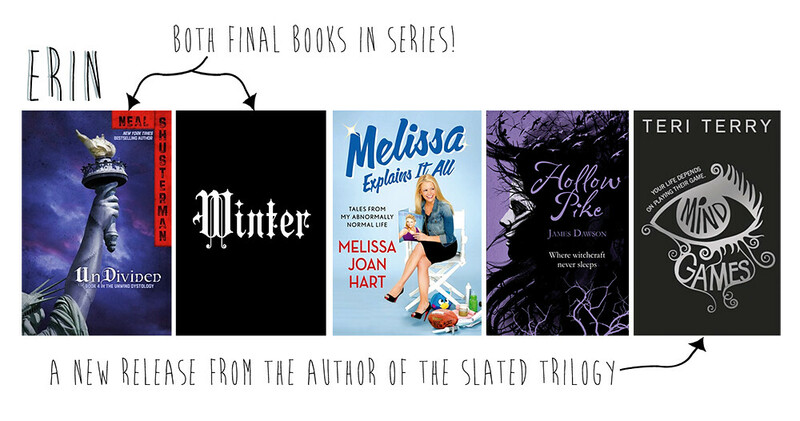 BB: Finally, which book blogs (other than your own of course!) would you recommend our readers go and subscribe to? In Her Good Books is my current favourite. Sophie has such a personable writing style and a real knack for increasing my ever-growing tbr list! I'd like to say a huge thank you from all of us here at BB to Jennie for taking part in this interview. "Luna is a no-hoper with a secret: in a world of illusion, she can see what is real. But can she see the truth before it is too late? With so many YA dystopian novels out there at the moment, how did this one stand out to you & make you decide to read it? Christina: The advanced technology was a big draw for me, as I like to see how different authors tackle a well-established theme such as that one. A big part of the synopsis is the idea of illusions and things not being as they seem. I love this concept in any story as I enjoy being deceived and misled by books - this aspect drew me in and made me really want to read the book. Erin: Initially the book caught my eye due to it's author Teri Terry who's Slated trilogy I had read and really enjoyed. 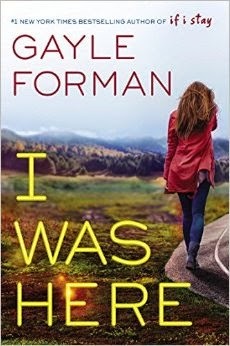 I loved how unique, refreshing and realistic the world she had created felt so when I saw that she was releasing another YA dystopian novel I was keen to pick it up! The idea of virtual reality has been explored in literature before. What unique points do you think Mind Games has that make it stand out from other books with a similar theme? Christina: I don’t actually think I’ve read any books with a virtual reality, so it’s quite a difficult question for me (If I have, I can’t think of any right now). I do feel as though the advanced technology was realistic and I could imagine living this life myself in the not-so-distant future. The main character made the book stand out for me, Luna being a Refuser was an interesting aspect that I wouldn’t necessarily have expected based on her personality and the society around her. Erin: The technology and ideas explored in Mind Games didn't feel far-fetched but instead were believable, and without giving too much away also had somewhat of a horror element - it's definitely scary to think these types of virtual worlds could become reality in the near future! I really enjoyed the fact that the main character Luna was a Refuser as it meant we got to see both her real 'in person' life as well as what went on whilst she was 'plugged in' to the virtual world. Do you feel the characters were realistic or unrealistic for the world in which they live in? Christina: I think all of the characters were fairly realistic. The main character being a Refuser was a large part of the storyline, but when everybody around her uses this advanced technology, what are the chances of her refusing? I found this an interesting aspect to the story, as mentioned above, but I'm not sure how realistic this was in terms of the world she was living in. I also felt as though Gecko’s paranoia made his character realistic especially as I got to know more and more about the world the characters were living in. Erin: At first it was a little difficult to believe that Luna would be a Refuser since her family, friends, and what seemed like the majority of the population had been given the implant and adopted the virtual world into their everyday lives. Having said that I found her pretty realistic throughout the novel as she questioned a lot of what was going on and really took the reader on her journey of discovery alongside her. How did you find the writing style? Were there any areas you thought were particularly strong or weak? Christina: Mind Games is the first book I’ve read by Teri Terry and it’s fairly safe to say it won’t be the last. Her writing style really captivated me and drew me in and that’s one of the reasons I loved this book so much. I thought her world-building skills were incredible, with world-building being an imperative aspect of Dystopian fiction I felt she just did this really really well. Erin: Personally I really enjoyed the writing style which I found very easy to follow and felt that the world-building in particular was strong. Having also read the Slated trilogy I believe that Teri Terry has a talent for creating more believable dystopian worlds allowing the reader not to be pulled out of the story by too many plot holes or questions. (Side note: I loved that the world of the Slated trilogy was referenced within Mind Games!). What were your overall thoughts on the book? Would you recommend it? Christina: I actually gave this book 5 out of 5 stars, I loved it. My ratings are often decided on a gut instinct reaction and if I give a book five stars, it’s because it has gripped me and I can’t stop thinking about it. Which is exactly how I felt about this book. I found Luna’s constant questioning of everything around her and her abilities quite annoying, but that was the only slightly negative comment I have for this book. I don’t think Terry has any plans to turn this book into a series, but I’m really hoping she does. Erin: Similarly to Slated I gave Mind Games a 4/5 stars based on the concept, world-building, writing style and my overall enjoyment of this futuristic novel. I'd definitely recommend the book in general but particularly to those who loved the Slated trilogy! 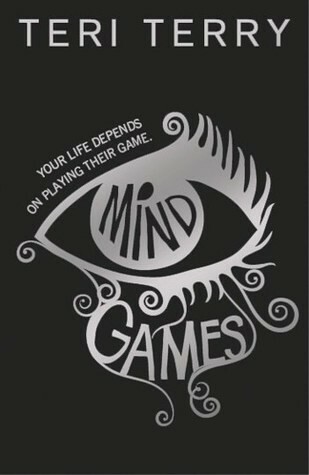 Mind Games is due for release on March 5th! This post was written by regular reviewers Christina and Erin. Get to know them here! 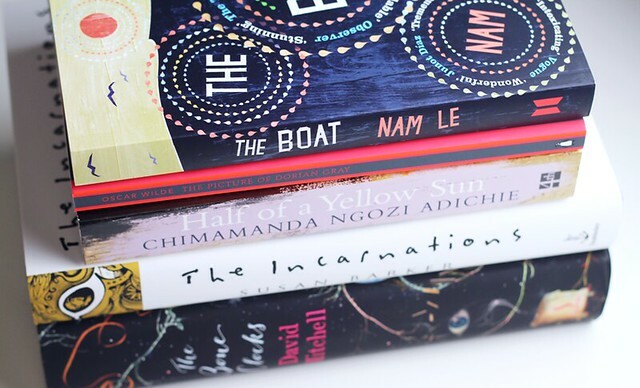 We may be nearing the end of January but as it's our first group collab of the year we thought we'd get our bloggers and contributors to give us the lowdown their 5 books they vow to read in 2015! Have you read any of these books? What are your 2015 goals? For months now this book has been pretty much everywhere. I deny anyone who's been in WHSmith, Waterstones or any shop selling books in the last year to not recognise the cover. This is the The Goldfinch by the wonderful Donna Tartt (author of The Secret History). If you have heard about the story or have picked it up in a shop and have maybe, like me, thought this doesn't really sound like your usual book then trust me me when I say if you love reading at all you will love this book! I realise that is a big statement. 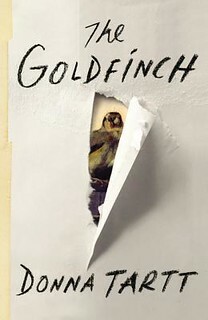 The Goldfinch follows the life of a young boy, Theo, whose visit to the Met museum in New York one normal day leads to a fatal loss and a painting worth millions ending up in his possession. Intrigued yet? You should be! As Theo's other family consists of his absent drunk father, he ends up staying with a friend and his deliciously cold, ultra rich family in Park Avenue. However, saying that this is only the beginning of the story is an understatement to say the very least. The novel follows Theo's life as he deals with his loss and the problems that the incredibly valuable painting that he has come to possess (and feel a strong affinity for) brings him. Theo meets many eccentric and wonderful (in a good and bad way) characters along his journey and visits many places all while dealing with his loss, self discovery, guilt and a whole range of emotions! It is story telling at his best and is so, so interesting. I honestly hadn't a clue where it was going to go and I loved that! Don't let the length out you off either, it's worth it. The character development, the intricate storyline, I could go on and an on about the things I loved about this book but I might end up being longer than the novel itself. If you really can't face reading a book this large, I'm fully expecting that this will be made into a movie (it's that good) so you can always wait for that! As an avid reader and teacher I will deny every typing that last paragraph but there you go! Have you read The Goldfinch? If so, did you enjoy it? What are you reading right now? I'm always looking for more books big so please, let me know! 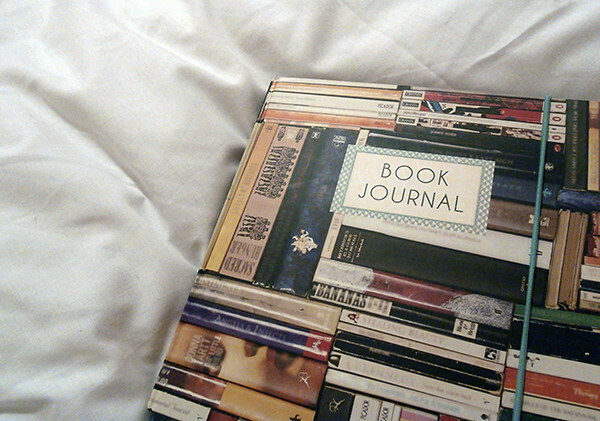 Don't forget to enter our journal giveaway! The latest book release from comedian Miranda Hart is a non-fiction title all about her hit BBC sitcom Miranda. The bulk of this rather large book is made up of the full scripts from six of Miranda’s favourite episodes over the three series with handwritten annotations and interesting behind the scenes snippets. Alongside these are sections where Miranda introduces the episodes and talks more about the writing and filming process. 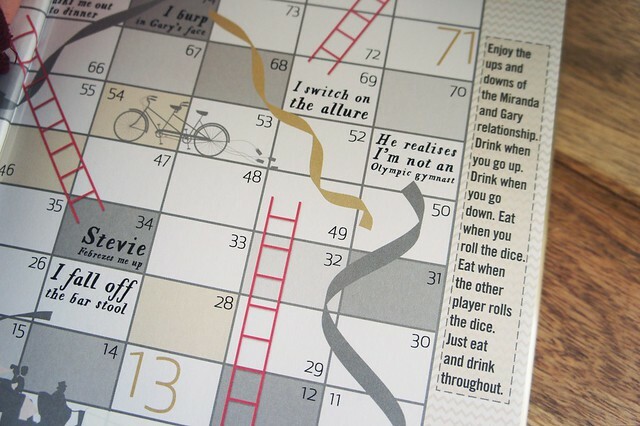 The book both begins and ends with an illustrated inside cover featuring a Miranda-themed game of Snakes & Ladders (pictured below) which includes events from the series and where the objective is of course to marry Gary! Other games, quiz questions and character pages such as Gary’s recipes and Stevie’s guide to ‘the allure’ are all included as well; a nice touch for fans of the series. A great coffee table book, The Best Of Miranda is perfect for fans sad to see the popular comedy series come to an end as it gives a chance to both go behind the scenes and relieve the funniest moments. Today's post is a pretty special one as not only are we hosting a competition to win this beautiful Paperchase book journal to record all of your reads, but we're also giving you the chance to become the newest member of team BB! We recently expanded our review team with the addition of the lovely Christina but we're also excited to bring more non-review content to Blogger's Bookshelf in 2015. To do this we're looking to add two new bloggers to our team, writing about anything from bookish news, to author profiles, roundups, lists and opinion pieces - all ideas are welcome! If you're interested in joining team BB and would be able to contribute just two non-review posts per month we would love to hear from you. Just drop a quick email introducing yourself to bloggersbookshelf@gmail.com and we'll get back to you as soon as we can - don't forget to enter the journal giveaway too! 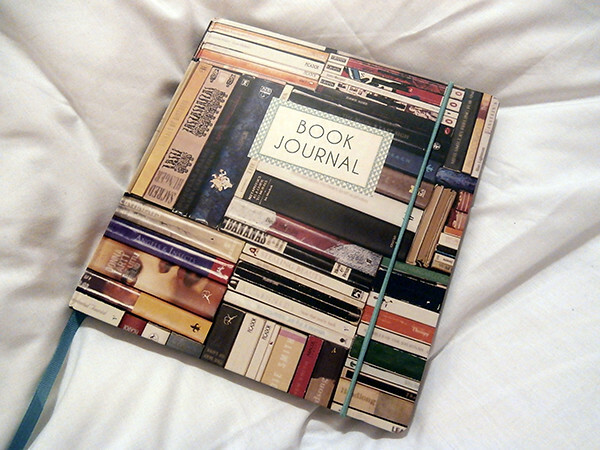 To be in with a chance of winning this amazing journal just enter using the Rafflecopter form below - good luck! I Was Here is a tense, deep story about a girl named Meg who commits suicide and the pieces she leaves behind for her best friend Cody to discover. When Cody travels to Meg's college room to collect her belongings, she begins a journey she never thought she'd embark on. Cody discovers secrets about her best friend, meets a boy and along the way, discovers things about herself too. The story itself was super-quick to get through, I read it in two sittings and really enjoyed it. Cody asks for Ben's help despite being under the impression he screwed her best friend over and for around 75% of the book, it made me really mad. Then I began to like their relationship/friendship and whilst they became close through f-d up circumstances, I began to really root for them. Although Cody was a bit naive at times, I did enjoy reading about her journey and her discoveries along the way. The delicate handling of the suicide topic was done well in my opinion, it wasn't over the top but it wasn't skimmed over either. The fine line between experiencing a friends suicide and feeling those emotions for yourself was explored and it's scary how easily somebody could sink into the kinds of deep thoughts they never realised they were capable of. Romance was a back-up theme in this novel, after grief and suicide and depression and I liked that it wasn' t the most important aspect of the book, but still played a part. As I said before about being angry about how the romance started, I do feel as though it probably didn't need to be in there and the book would have hit much harder had it just focused on developing the other themes fully instead. I would recommend reading this book as it's a quick, but not light-hearted read. If suicide is a trigger for you, you should not read this book as it is discussed openly throughout. *Received through NetGalley for an honest review. Comoron Strike is back. Right off the back of his success in solving the Lula Landry murder, Strike is now hot property in London and his private detective business is plodding along pretty steadily. The mystery this time round? The case of Owen Quine. An infamous author who’s untimely disappearance coincides with the circulation of his unpublished manuscript depicting hideously grotesques versions of everyone he knows. When Quine turns up dead and brutally mutilated like one of his twisted fictional creatures, it’s up to Strike to figure out who did it. With his, now trusted assistant Robin by his side, Strike delves into the shady underground of the publishing industry. We’re back in a familiar territory with Strike, Robin and the dark underside of London, and the magic of a sequel is Strike really has come into his own in this story. We know his backstory, his rocky relationship with Robin has now settled and hot of the back of the Lula Landry case Strike is now in full Gene-Hunt mode with a brand new mystery to solve. Robin is also much more fleshed out and proves herself to be just as capable as Strike during the case. 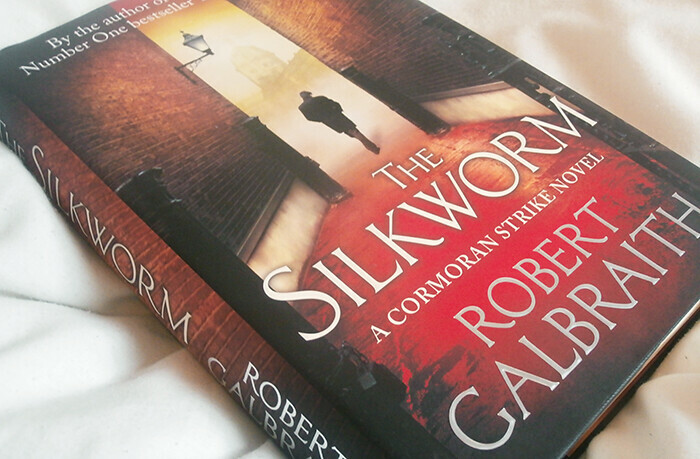 Their relationship dynamic is much more enjoyable in Silkworm, though Robin is the apprentice in this situation it’s nice to see Strike start to put them on level footing as the story goes on. The case itself is a classic 'whodunnit’ mixed with our suspects all in play at the beginning of the story this time, it’s just a case of piecing together the puzzle when Strike arrives on the scene. In true Galbraith style, the murder and seedier parts of the story are pretty graphic with excerpts of Quine’s infamous manuscript being particularly gruesome. There’s a host of irritable love-to-hate characters from all facets of Quine’s life, including his agent, family, lover and other rival novelists. Though the ending itself is slightly predictable, the race to get there is just as gratifying to get to as 'Cuckoo..’ was with twists and turns to keep you page-turning right to the very end. Which 2015 releases are on your list? Happy New Year everyone! 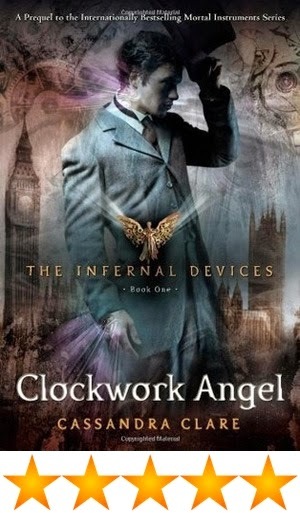 I just recently re-read Clockwork Angel, by Cassandra Clare, and it's sequel, Clockwork Prince, because I hadn't read the third in this trilogy yet, and wanted to remind myself of the story. Like all Cassandra Clare books, I love this series a lot, and had a lot of fun re-reading this. Clockwork Angel is set in the late 1800s in London, and tells the story of Tessa Gray who has just stepped off the ship from New York, after receiving a telegram from her brother, who had moved there previously. She is greeted at the docks by Mrs. Black and Mrs. Dark who promptly take her, "at her brother's request", to their place. There Tessa discovers that she can Change; she can shift and morph into any other person. She is made to do this day in and day out, hating everything about it and wondering how she got herself in this mess, until a handsome Shadowhunter named William Herondale rescues her and she is thrown into a world of the supernatural. While she is invited to stay at the Shadownhunters' residence, the London Institute, all Tessa wants to do is find her missing brother. Together with the Shadowhunters, Tessa unearths much more than just a lost sibling, and finds herself in the middle of a mass of warlocks and werewolves, of Vampires and demons, of Downworlder clubs and secret organisations. To top it all off, there's a clockwork army at their door, and a crazy mundane wanting to take over the British Empire. Oh, and she's in love. At least, she think she is. I love everything about these books. The characters are brilliant, each with their own very distinct personalities, the plot is fast paced and surprising, with twists and turns, love and hate, and life and loss. There's humour, too, which makes for some fun reading. While I do love Tessa's character, and her wit and humour, she does annoy me on occasions, especially when it comes to the little love-triangle she's got herself caught up in. But never-the-less, a great story. Yes, it's a little bit random, but there are things mentioned in the last three Mortal Instruments books that happen in the Infernal Devices. Looking forward to reading the last in this series, Clockwork Princess.